In this day and age, everyone is looking for an edge, either personally or corporately, to succeed. And although there are many ways to do this, the foundation needs to be knowledge before action. Much like laying the mortar before you slap on the bricks and let them set. Knowledge management is critical to many organizations, and has been the preferred method of creating, representing, and distributing knowledge for reuse, awareness and learning for hundreds of businesses world wide since at least 1995 or earlier. Personal knowledge management (whose focus is to find, connect, learn explore and grow) grew out of a combination of knowledge management and personal information management. Just to focus this a bit more, personal knowledge management is supposed to help an individual be more effective and to work better. Are knowledge management and personal knowledge management the same or diametrically opposed to each other? They are the same in one aspect as they both deal with knowledge management. Where they differ is who or what it is for. But, does that really matter? It would seem not, as the ultimate goal for both is the betterment of something. For instance, the end goal of knowledge management for an organization is to better its performance. Most often knowledge management programs are tied into what the company wants to achieve as its objectives. To that end the outcomes sought are usually in the realm of shared knowledge, improved execution, competitive advantage or a better record of introducing new things. A company cannot reach its goals if it does not effectively manage and utilize what information it collects. Compare this with personal knowledge management whose end goal is to better the person's performance. Personal knowledge management programs are tied into what the person wants to achieve as their objectives. To that end the outcomes they seek are usually also in the realm of shared knowledge from others to better the "self", to improve the execution of their work (job) and a better record of introducing new ideas, concepts or projects. As you can see, they are not so different in execution and perhaps not even that different in end results either, since both are for the betterment of something. And both still start with knowledge management. Let's just get back to knowledge management as a foundational starting point for many other areas in the technological field. There isn't one area that does not start and finish with knowledge as its core building block. Take knowledge transfer. Knowledge transfer involves the very practical problem of getting knowledge from one part of an organization to all parts of an organization. 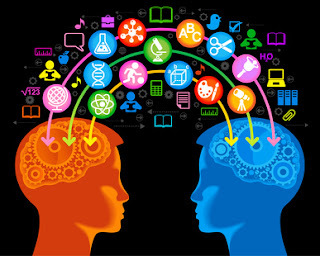 Information Technology (IT) is processing information by computer and that information is built on knowledge management. The key elements of human resource management are first and foremost, workforce management (aka workforce planning)- the nuts and bolts of your organization. Basically a process that gives managers a framework to make staffing decisions based on four criteria: your mission as an organization, your overall strategic plan, budget, and what you want to see in your workforce. These functions are driven by knowledge management. Strategic planning happens when an organization sits down and figures out where it wants to go over the next year or so, figures out how to achieve their goals and also figures out how they will know it they made those goals or not. Strategic planning does require some serious thought about the future of a company. Strategic planning is also driven by knowledge management. Remember what the definition of knowledge management and personal knowledge management is, what is really at the core of both definitions to find, connect, learn, explore and grow. A distinction without a difference, or a difference with distinction? Bottom line? You don't know what you know until you need to know it - meaning the knowledge is there, and you (or the organization) just need to use it effectively.